See these and more Lynn Canal Publishing titles! In this sequel to Nowhere Else to Go, but Dyea, we find transplanted white collar ex-convict Henry Stillwater with his poker-playing fellow “felons” in the middle of a mystery set in the historic ghost town of Dyea (pronounced Di-eee). Stillwater has settled into a new life and love in the valley at the end of Alaska’s Inside Passage, but his peace is disturbed by the discovery of a body, and a treasure of sorts that seemingly eludes all who pursue it, including wild, unruly critters large and small. 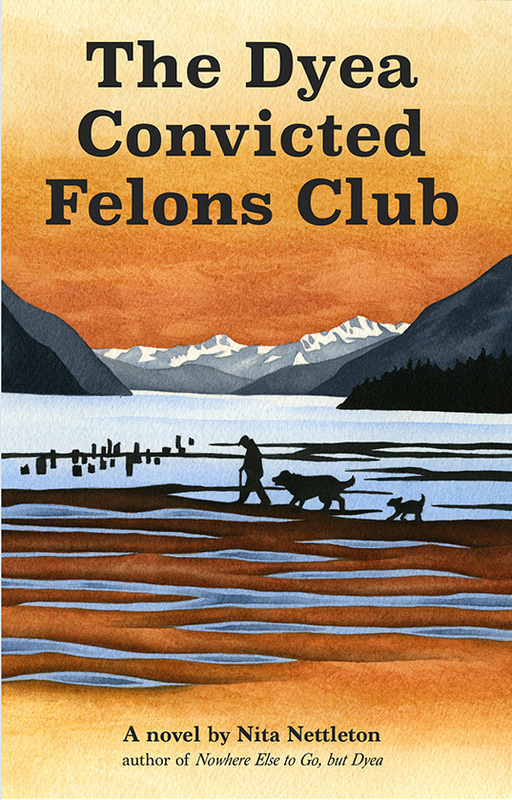 Complicating Stillwater’s life is a visit by his attorney daughter who sent him away to Alaska, but she too is absorbed by the mystery and where it takes them – to the summit of the Chilkoot Trail. A new novel by Nita Nettleton with cover art by Courtenay Birdsall-Clifford. 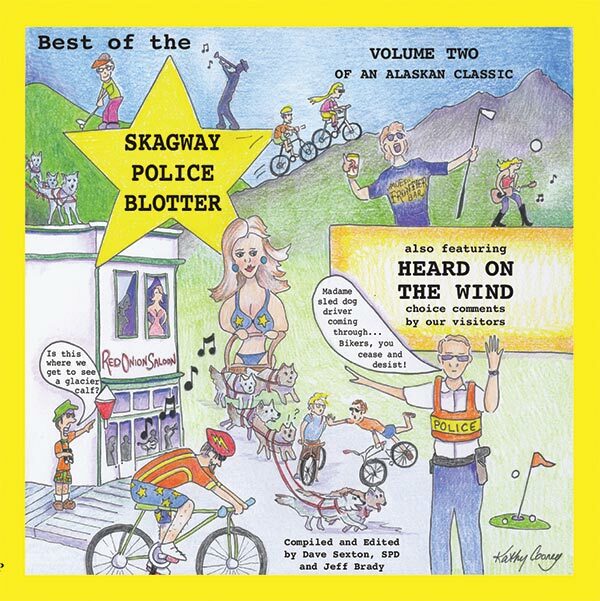 The long-awaited second volume of the best from the log books of the Skagway, Alaska Police Department along with items from the popular Heard on the Wind column in The Skagway News, choice comments and questions from visitors that make everyone laugh. $14.95. Compiled and edited by Dave Sexton and Jeff Brady and released in summer 2016 by Lynn Canal Publishing along with a revised edition of the classic Volume 1. Signed Copies Available! April 2: Spring Hours & Sales! Now open 12:30 to 5:30 weekdays and 12:30 to 4:30 weekends. Sales still in effect on several titles. Help us clear them out before the ships arrive to make room for more. 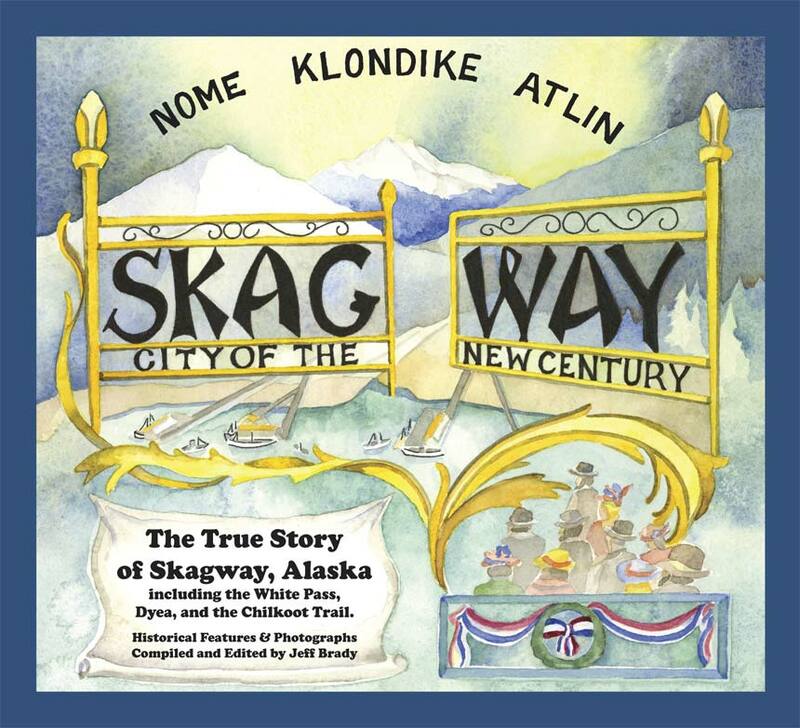 SPECIAL 40% OFF Skagway: City of the New Century first edition in paperback and hardbound in advance of this summer’s release of the revised edition.